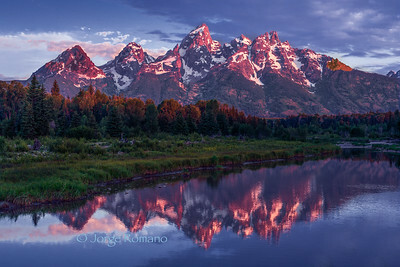 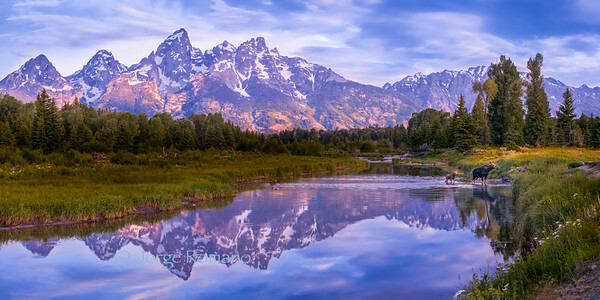 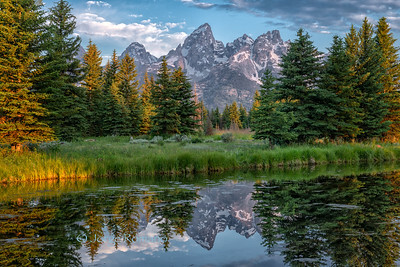 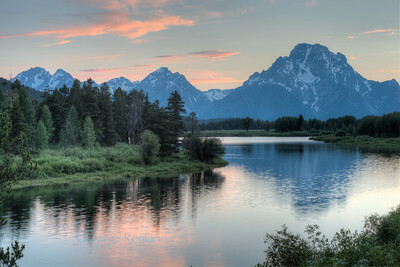 Grand Teton at Sunrise and Moose crossing the Snake River with her calf. 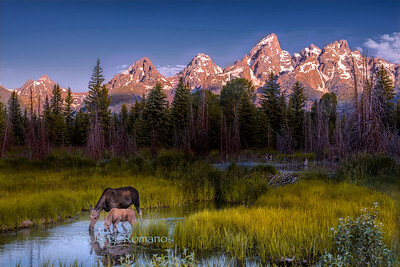 Moose with calf drinking water on the Snake River at sunrise. 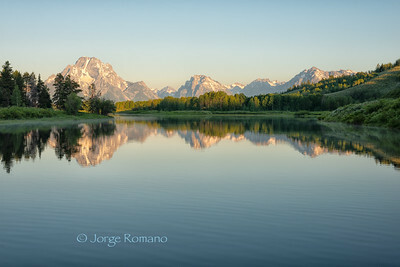 Grand Teton moiuntains view from old historic mormon ranch. 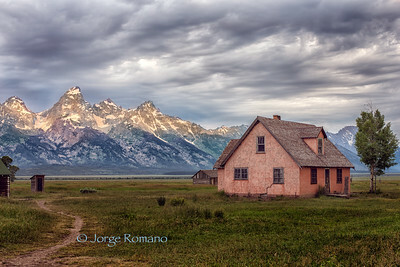 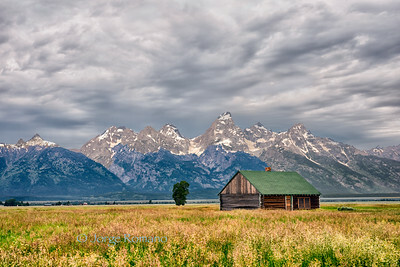 Moulton Mormon Barn with Grand Teton on a cloudy morning. 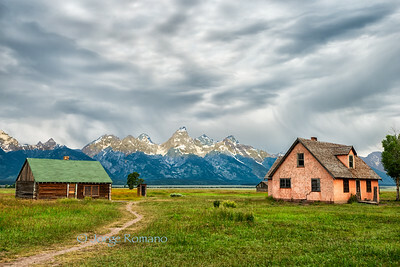 Mormon ranch and the Grand Teton range. 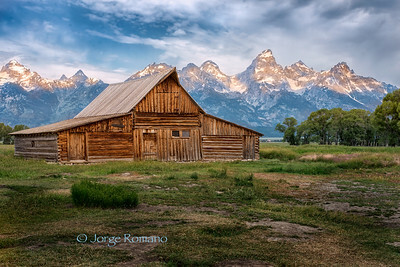 Moulton Mormon Barn and The Grand Teton Range panorama.